Module 1 highlighted the idea that libraries should share rather than lend. Whereas lending is a one way street (allowing people to borrow from a common resource) sharing embraces active contributions from the community (in terms of time, expertise and physical 'stuff', such as sharing their own book collections) - combining resources together to make a richer commons. This came back to examples of libraries as makerspaces (there is a 3 part article on makerspaces from Library Journal here if you want to find out more - I love it!). 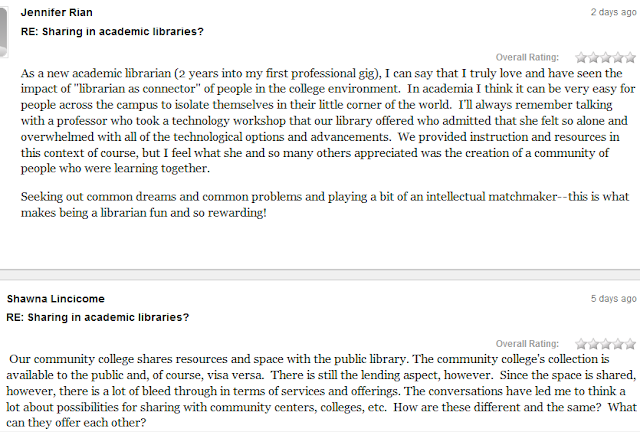 I also came across this post on Making Things in Academic Libraries on the Association of College & Research Libraries (ACRL) blog. As often with online articles, the comments are as interesting as the post itself. The second module, ominously titled 'kill the user' was about how best to trap unsuspecting users in the stacks...or it may have been about changing from the term 'user' (which along with 'patron' and 'customer' is very 'us versus them', seeing users as consumers) and the quest for a better term, such as 'member', 'participant' or (cringe) 'prosumer', which is a blend of professional/producer and consumer. I'm not encouraging the adoption of that last one as it sound very management buzzwordy, which will surely broaden the divide between library staff and 'users' when we seek to do the opposite. I like talk of the 'community' to describe everyone engaging with the library but it is harder to find the perfect term to describe an individual using the library; maybe we could have an international contest to create a new word? 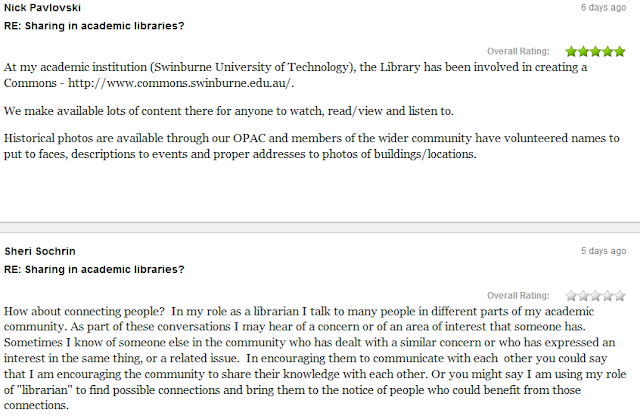 How about 'libcomber' (library + community + member)? No? Or we could go with Quester - I would be happy with being a quester. The third module covered the deficit model of communities, which I felt applied more to public libraries than academic communities. Librarians should use advocacy (seeing opportunities and giving people skills to reach their aspirations ans enable participation) rather than remediation (trying to fix problems and inadvertently reminding communities of their failings). R. David Lankes explains this far better than I have so I will embed the video below. The module also introduced me to the concept of 'satisficing', a term I had not come across before. 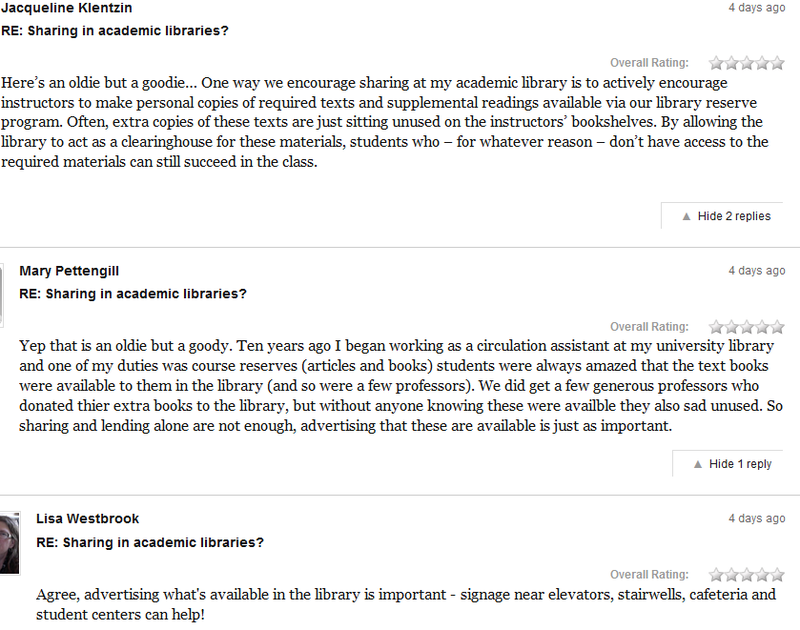 Module 4 provided some criticisms of the New Librarianship approach which was refreshing to see. Although Prof Lankes offers up his theory of new librarianship I think the purpose of this MOOC was to allow us, the Questers (see, it works!) to examine our own thoughts and engage in conversations, to come up with our own theories and models and constantly re-evaluate them rather than to convince us all that he is right.